To recognize Enactus student leadership, teamwork and educational achievements. The recipient of the award will receive a $10,000 scholarship to be used for educational purposes at the college or university he/she is attending on a full-time basis. The recipient will be recognized as the Knapp Scholarship Winner during the following academic year. NOTE: Selection of the $10,000 scholarship winner is contingent upon receiving applications from qualified candidates. The Knapp family and Enactus reserve the right to withhold the funds if suitable candidates are not identified. Two or more additional scholarships may be awarded to eligible students. Students receiving additional scholarships will be recognized as the Knapp Scholarship Finalist during the following academic year. NOTE: Additional scholarships will be disbursed at the discretion of the Knapp family and Enactus. 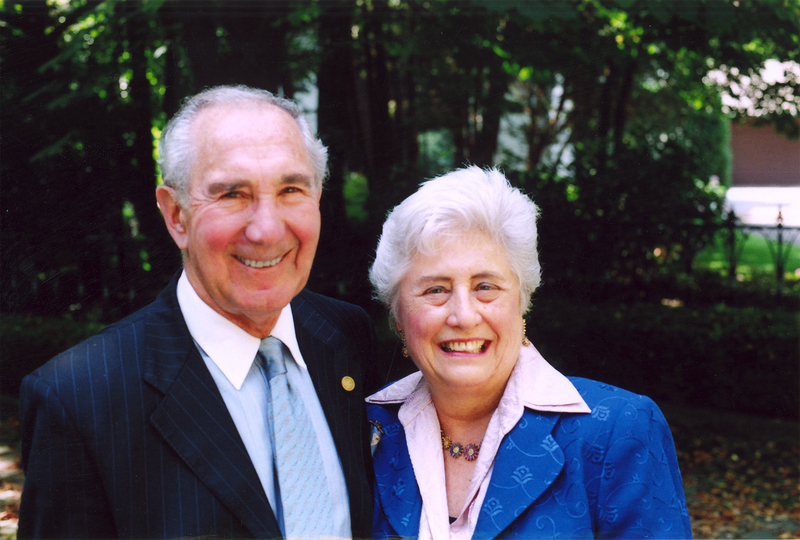 Note: Non-U.S. citizens who have legal permanent residency status in the United States are not eligible to apply for the Jules & Gwen Knapp Scholarship. Jules F. Knapp is a very successful serial entrepreneur. He started his own paint business, United Coatings, in 1962 and was one of the first paint producers to market to mass merchandisers such as Walmart. In 1994, United Coatings merged with Pratt and Lambert and was then listed as Pratt and Lambert United on the New York Stock Exchange. In 1996, the company was purchased by Sherwin-Williams. In 2002, Knapp purchased Grisham Manufacturing, a maker of steel security storm doors, and used his entrepreneurial expertise to improve production, customer service, and established a new sales relationship with retail giant Home Depot. Knapp successfully sold Grisham Manufacturing in 2015 and is now devoting more of his time to mentoring new start-ups. Gwen R. Knapp is a graduate of Northwestern University in Evanston, Illinois and a committed philanthropist. In 1987, along with her husband, she founded The Jules and Gwen Knapp Family Foundation. As president of the foundation, she has built long-time partnerships with many leading institutions in science and education. This includes the University of Chicago where she and Jules were honored with the University of Chicago medal, the institutions highest honor. Other institutions include founder and past president of the Lupus Foundation of Northern Illinois, Ort America where she held many leadership positions and the Jewish Federation to name a few. Gwen is currently a Bronze Life Master in Bridge.